OUTGOING deputy mayor Barry Lathey looks set to have retained his seat as a councillor at the expense of Scott Shaw. The latest computerised count from the Tasmanian Electoral Commission shows 100% councillor vote now counted, but subject to a recount. 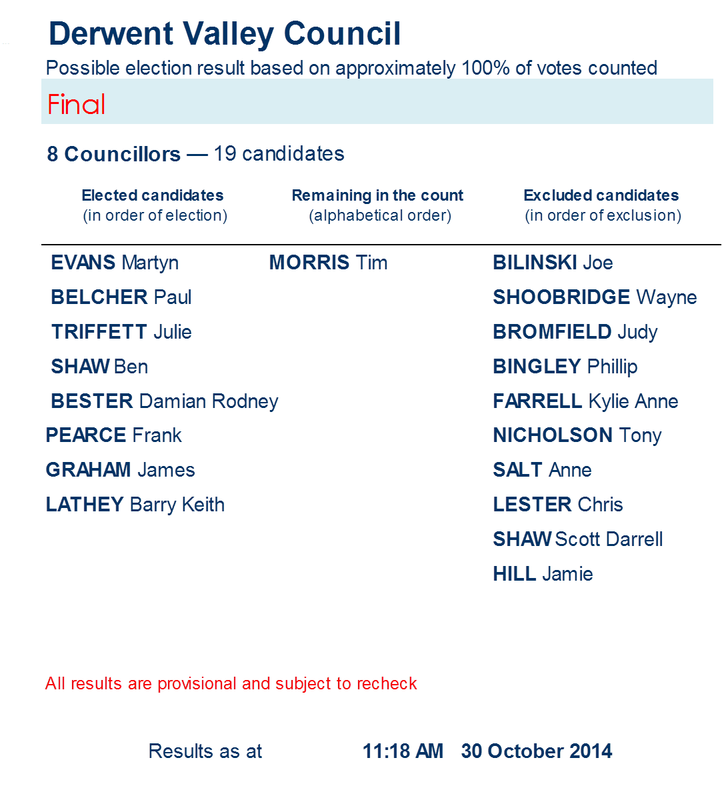 Former mayor and parliamentarian Tim Morris remains in the count in ninth place. This is outside the eight seats available but will mean an interesting recount. Thank you for the updates. I think is a good mix for the new council - 4 'old/experienced' members and 4 'newies'. Well done everyone. Only disappointment is the actual numbers voting - seems a darned good percentage of those eligible don't gave a toss, what a shame!